Wow. Seriously? 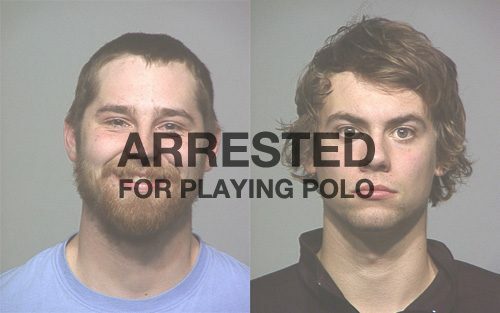 You’ve gotta have something better to be doing with your time MKE Sheriffs department.I got a ton of emails today from angered Polo players everywhere expressing their concern for what happened to some guys in Milwaukee yesterday during a pick-up game. No, they weren’t charged with “fancy riding” either. Read all about it over at MKEBikePolo and Milwaukee World.